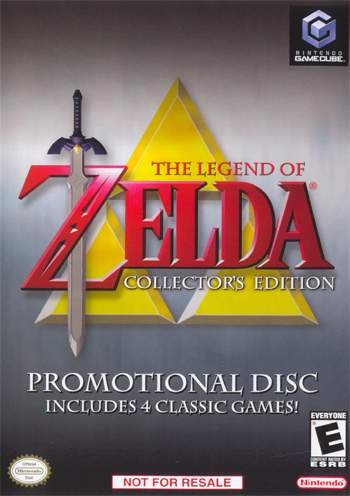 Sorry, no review of The Legend of Zelda: Collectors Edition yet. Best video game compilation ever. Download these games instead. The NES Zeldas don't work well with a GameCube controller and Majora's Mask isn't ported well and has freezing issues. Buy these on Virtual Console and thank me later. This is what the Zelda fans should get instead of four separate Virtual Console games. However, they just might want to make sure they have a second Memory Card in hand for backing up Majora's Mask, especially if they have another Zelda fan in the family. Majora's mask has some serious lag and freezing issues, also I would trade out zelda 2 for a link to the past any day. Any one want to sell it to me for cheep? A real nintendo fan must have this collection.